As a member of the 9000-series, the 9709UA-TP is a top-of-the-line offering from Gibraltar. Not only does it have an excessively long name, it has en extensive list of features too. 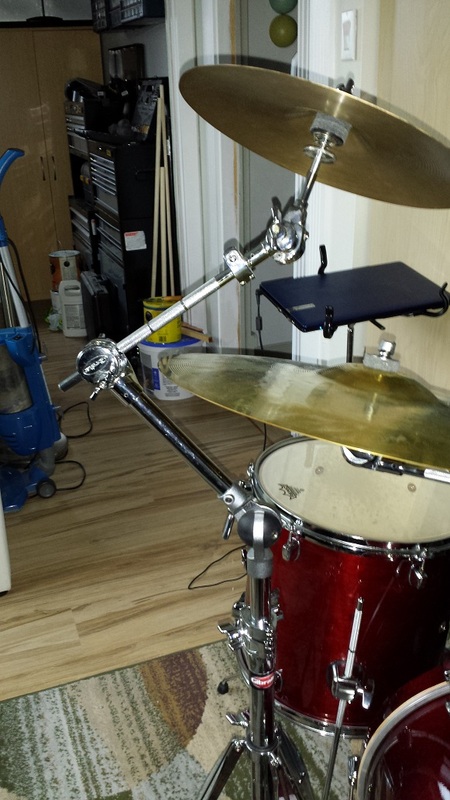 Especially for something as perceivably simple as a cymbal stand. With a street price hovering just under the US$150 range, it’s certainly a hefty outlay for a stand. 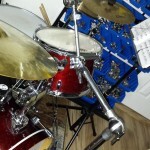 With some savvy shopping around, one could obtain three boom stands for the same loot. Does the feature list, quality and functionality warrant the price-tag? 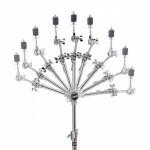 Read this entire Gibraltar 9709UA-TP Cymbal Stand Review to find out! An extensive list of features sets the 9709UA-TP apart from, and ahead of the pack. We’ll dissect each of these features individually in the next section. First let’s take an overall look at them. Starting at the top we find an unusual spring-loaded cymbal mount with a swivelling “Swing-nut” quick release cymbal mount mechanism. 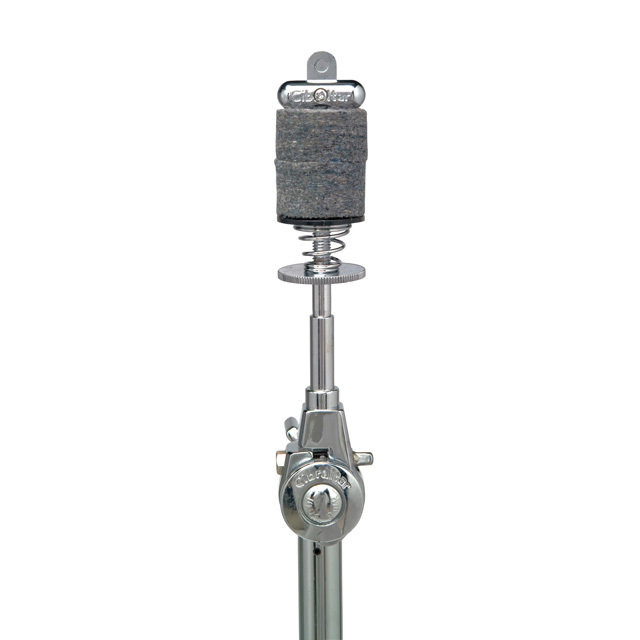 A mere two inches closer to the ground resides the Gearless Brake Tilter with drum key lock back up position system. All mounted on a 10″ solid boom of the hide-away variety with a memory lock. 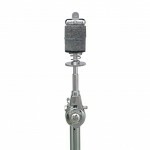 Moving down to the 20″ second tier, we find the “ultra-Adjust” gearless “ball joint” connecting an additional 10″ post, which in turn holds the Hideaway boom tilt mechanism. The top of the tripod leg base features the “Super Lock” hinged height adjustment with no metal to metal contact and wing nut adjustment. 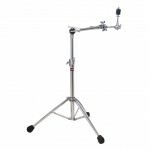 The tripod itself is constructed of Chrome Arrow-light aluminum l-rod tripod reducing stand weight by 20%. There is also a height memory lock and the round rubber feet found on most of the 9000-series stands. A Solution Looking for a Problem? This reviewer’s daytime career has been mostly in the IT sector. In the IT industry we constantly came across software products that were “solutions looking for a problem”. When I first looked at the marketing literature for the 9709UA-TP, my initial impression was that this was going to be such a product. However after spending a couple of days with the stand in question I “stand” (No pun intended) corrected. As much as the plethora of features seem “gimmicky” at first glance, they actually prove to have real world practical uses. To defy gravity, we’ll start from the bottom and move upwards. I haven’t seen a memory lock for the tripod height before, but it only makes sense and likely doesn’t add significantly to the cost. The weight reduction accomplished by the aluminum L-rod tripod may not seem significant. After all nothing in the 9000-series is going to be light to begin with, but there’s certainly no harm in even a small reduction in weight. The “Super Lock hinged height adjustment with no metal to metal contact and wing nut adjustment” doesn’t really add convenience but should prove to aid in the longevity and durability. 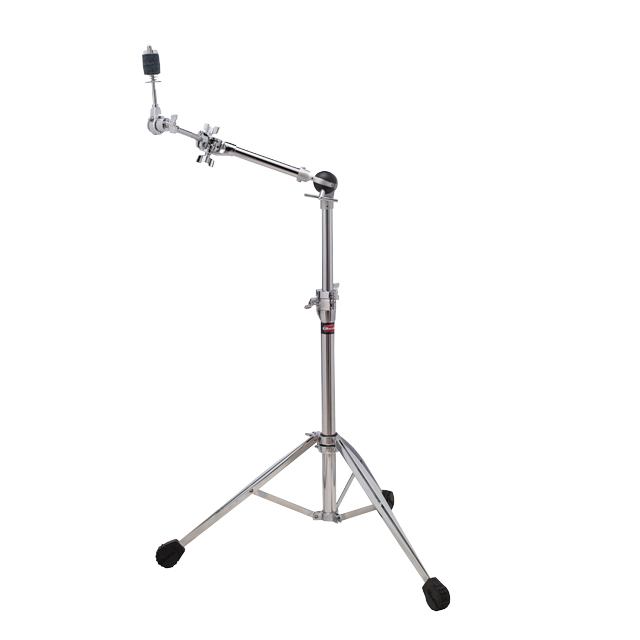 My favourite snare stand is a 9000-series with the Ultra-adjust ball joint, so I’m already familiar with the “Ultra-Adjust” and definitely a fan. It’s smooth, allows adjust-ability in any direction and holds rock-solid when fastened. 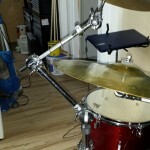 While functioning flawlessly in every way, I fail to see any distinct advantage to the “Gearless Brake Tilter with drum key lock back up position system”. Maybe it’s just the way I use my gear, but a back-up lock has never seemed to be required. Regardless it’s there and it can’t hurt. 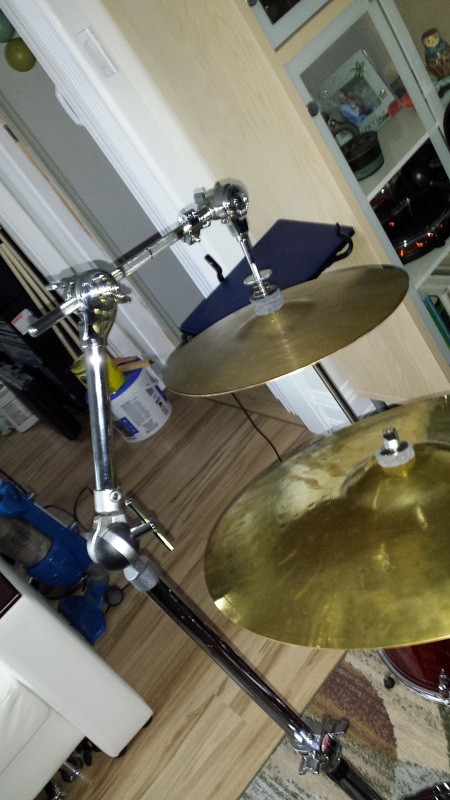 My favourite feature after the Ultra-adjust is the “No wing nut, Swing Nut fast cymbal mount with adjustable spring tension”. 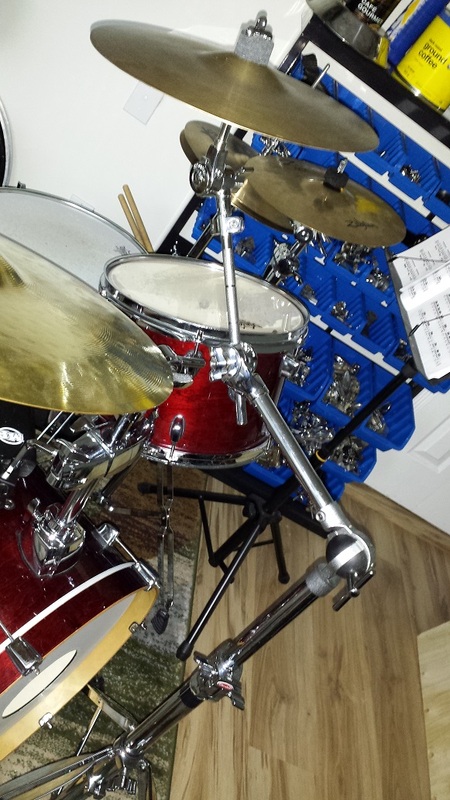 It simply allows one-handed cymbal changes in seconds and the spring tension system adjusts easy and may inherently even prevent cracked cymbals due to over-tightening. However it’s the combination of features that makes this stand shine. 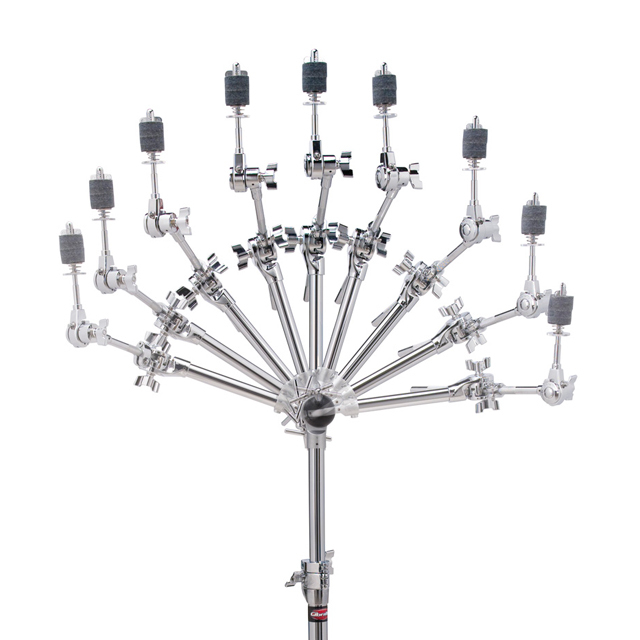 If you only have a few stands and unlimited space the 9709UA-TP may not prove useful enough to warrant the cost, but if you need to squeeze multiple stands in a small space it’s irreplaceable. 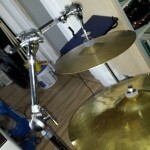 Not only does it allow positioning your cymbal within 20+ inches of the stands center, it can turn around corners too. This makes it possible to find a placement for the tripod when otherwise impossible. A comprehensive examination with value, quality, real-life tests, Pros and Cons. 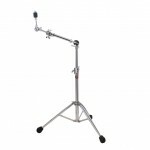 Read our Gibraltar 9709UA-TP Cymbal Stand Review for the whole scoop.